The Hokitika Glass Studio is a family business established in 1989. Glass-blowing skills originating in Sweden have been passed on and are now utilised by born and bred West Coasters. 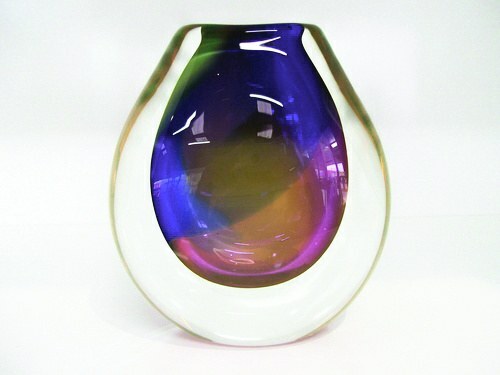 We have a large range of blown and freeform glassware. Our furnace holds 220kg of molten glass and is worked at temperatures of over 1100 degress celcius. Items are made on stainless steel blow pipes and are shaped using various tools and wet newspaper. Visit our studio factory at 9 Weld St, Hokitika and view this amazing craft for yourself.We can also organise overseas shipping for you.SPECIAL OFFER: 10% discount will be given for reading about us on this AA Travel information page!.